How do you justify the value of MA software in the reality we mentioned above? Below are the six keys to having a successful conversation about MA with your boss. 1. Stick with facts, not feelings. With fewer resources and higher expectations, it is likely that you are under a lot of stress. While your boss might understand this, they won’t respond well to a frantic cry for help. Think about what’s important to them (hint: revenue!). With that in mind, approach them with facts and numbers that will help them quantify the benefit of MA to your organization. 2. Put together a business case. There are a lot of tools out there for marketing, and it’s likely your boss will want to know, “Why marketing automation?” Be prepared with case studies and examples you can share of other companies that have implemented the software and seen their desired results. 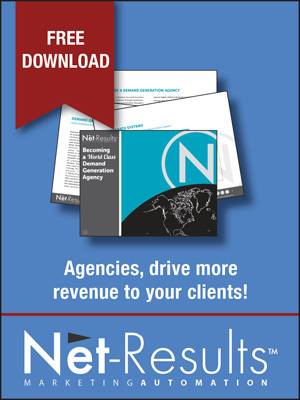 You will also want to be able to provide a rough estimate of return on investment (ROI). Most MA vendors can help you come up with this. 3. Tie into goals and KPIs. Now that we are well into the new year, you know what your goals are. Make sure to include in your argument how MA software will help you to hit your 2012 goals. There might even be new goals or KPIs that you will be able to track after implementing MA. 4. Suggest strategy shifts. Implementing a solution like marketing automation will likely have a dramatic affect on strategy. Why? Because it will enable you to do so much more than you could before. Be sure to convey this to your boss. Let them know what new activities and capabilities you will be able to unlock with this new technology and how that will affect productivity and efficiency on your team. 5. Be prepared for the devil’s advocate. Your boss might sit quietly while you present your case, but know that they will have questions and objections to many of the points you bring up. This isn’t to make you feel defeated. Rather, they want to make sure you’ve built a good business case. They also want to make sure they actually understand the proposition. Anticipating these questions and preparing responses will show your boss that you mean business. 6. Prepare your boss to talk to his/her boss. Selling your boss on the idea of MA is only half the battle. Unless you report directly to a C-level, it is likely that your boss will have to run this large purchase by the higher ups. Given them the tools to do this. Making it easy for them to pitch will increase your chances that the C-levels will buy-in to the idea of marketing automation. Remember that marketing automation is a significant investment, but when implemented properly, it can yield equally significant returns. All you have to do is communicate that clearly to your boss, but with this strategy, you will be well-equipped to do just that. 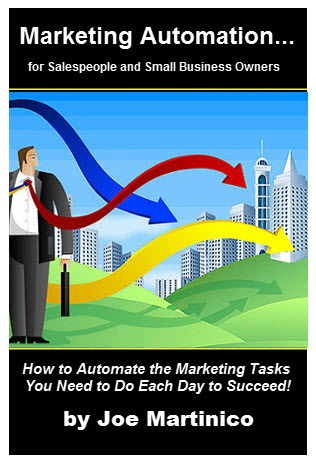 For more information on existing marketing automation solutions, visit the Marketing Automation Software Guide: http://www.marketingautomationsoftware.com/. For the full article, go here.